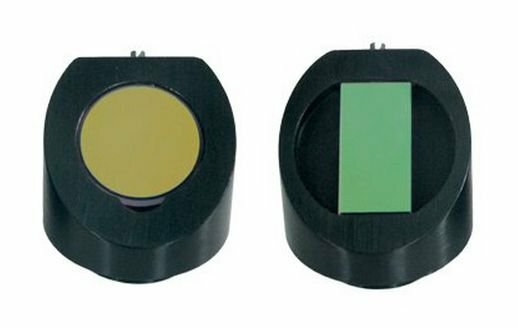 Due to high damage threshold, reaching 10 J/cm2 @ 1064 nm 8 ns, Thin Film Polarizers are used as an alternative to Glan laser polarizing prisms or cube polarizing beamsplitters. 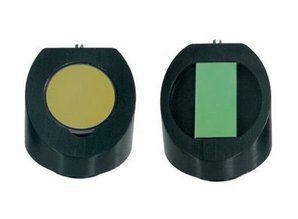 Typical applications are intracavity Q-switch hold-off polarizer or extracavity attenuator for Nd:YAG lasers. 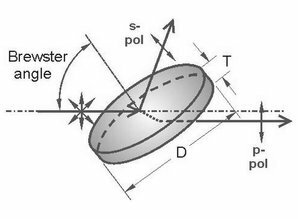 Thin Film Polarizers can be used at an > 40° angle of incidence, but polarization is most efficient and appears in a broad wavelength range at 55° AOI (Brewster angle). 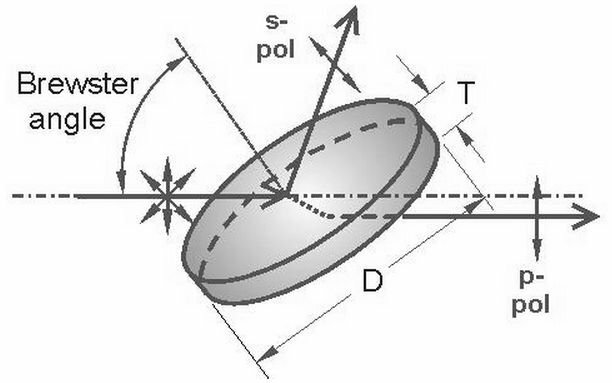 Typical polarization ratio Tp/Ts is 200:1.Standard size is up to Ø50 mm (2”), while max. available dimensions are 100×200 mm. For optimal transmission a Thin Film Polarizer should be mounted in an appropriate holder for angular adjustment.